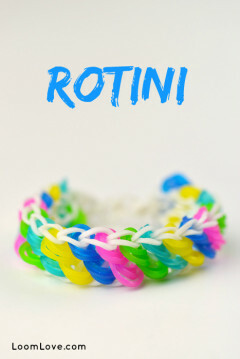 We just got our hands on some Rainbow Loom Tie Dye bands, so we decided to put them to good use with Loves2Loom’s Tight Rope Bracelet. We think it looks fab! Wow, possibly one of my favourite bracelets! SOO COOL! I like it either way, thanks Emily, Maddie, and Mom! i dont really usually like round braceelets either, because i find that they tend to flatten out and be really uncomfortable. however, i love the tightrope! Really cool bracelet!! 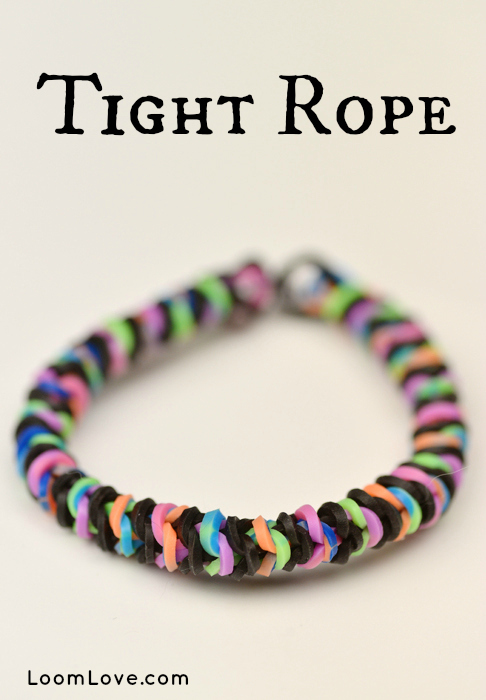 It looks awesome with Tie Dye Bands! 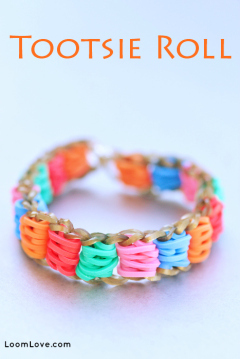 This bracelet is awesome u guys r such a good loomer ps keep up the good work ???? and I’m the second coment ???? OOOOHHH MMMYYYYYY GGGOODD!!!!!!!!!!!!!! SO PRETTY!!!!!!!! 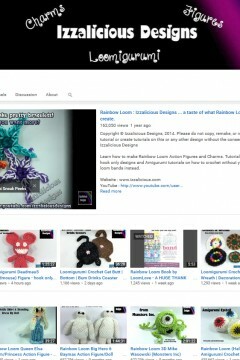 Loves2Loom, you are AWESOME!!!!!! It looks sort of like a smaller version of an Inverted Hexafish. It looks amazing! Especially with tie-dye bands!!!!!!!!!!! 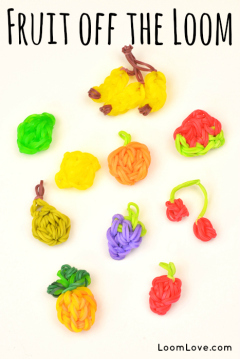 Thx so much, LoomLove! I literally check your channel every two hours of the day! I know, I tried with tie die bands too and it looks awesome!!!!! 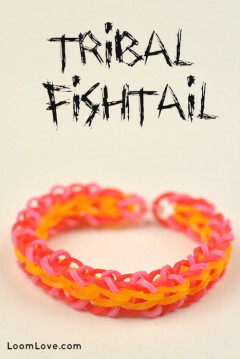 Cool bracelet, looks a little like the Wraptor! Super cute! I love all of your guys’ tutorials 🙂 keep up the good work!! Hey, Hermione, have you seen Harry anywhere? He forgot to take his lunch with him, call me if you see him. Oh I have not seen him. He might have flown on a moon frog! (back to normal) Lol, we are like having a whole conversation about harry potter on a website which about something totally about something else. Got too many black bands, and I love the look with black and another colour, so that’s perfect! 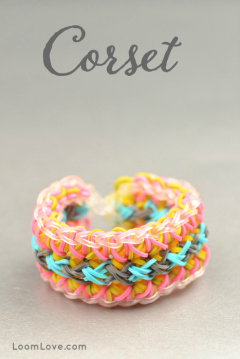 Thanks so much Loom Love, for yet another fab bracelet tutorial! It looks like a tight rope!!!! 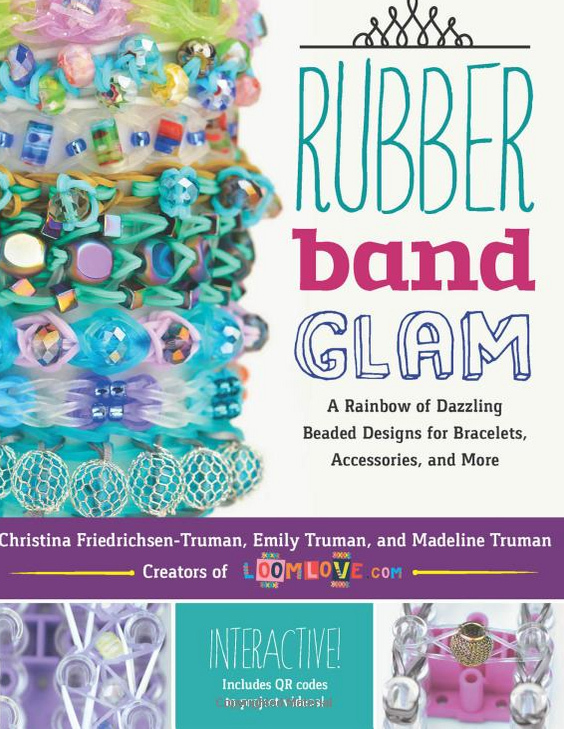 Did you just start doing a rainbow loom Channel?????? Really like this bracelet! Looks great with clear bands. I did this design with black and pink and it looks great! 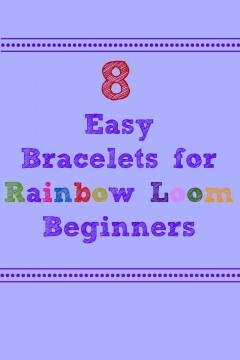 Also I have a question: Loom Love have you ever heard of the super cra-z-loom because I have one and it’s really fun!! i love this bracelet it is so cool !!! What!? That’s an inverted quad(ra)fish! You just invert it like an inverted hexafish. I made one and it turned out fabulous!!! 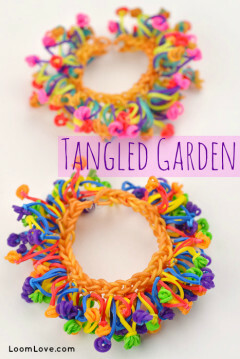 I can’t wait to make this bracelet. Going to be FUN!!!!! This bracelet is awesome! 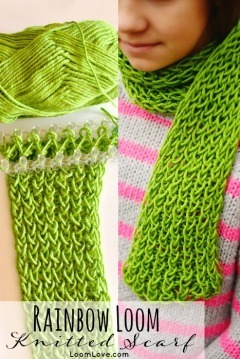 I’m making one right now with dark blue and glow-in-the dark green! Wow! this is ONE COOL, AWESOME, EXCELLENT bracelet! 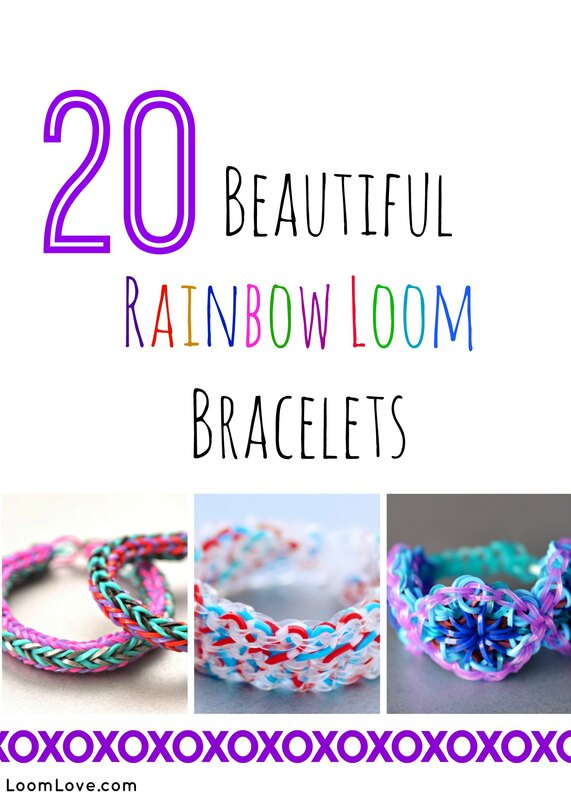 LoomLove you are awesome at choosing awesome creations of rainbow loom bracelets! I adore YOU!!! Hi Loom Love! Tried out this loom stitch, and I think it’s one of the most easiest ones I’ve ever done; the best thing is, it’s also one of the prettiest! I really love your videos and was just wondering, I’m kind of pathetic at making loom bracelets like the Triple Link & the Starburst but I think I am pretty good at making loom bracelets that, when it comes to hooking and looming, the method is similar to the Fishtail stitch, and I was wondering if you knew any other Loom Bracelets that uses a Fishtail Stitch method. So cool! I’ll definitely have to try this! So pretty\looks kinda hard! Def Challenging! 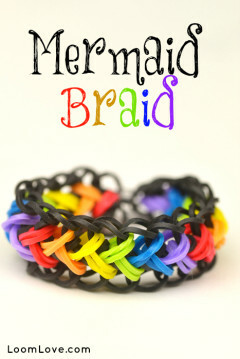 This is awesome I did 4 colors and it looks amazing and now my sister wants one!!!!!!??????????????????? ?